During the past few months, uprisings have been taking place in North Africa and the Middle East. The population, including youth, demands for greater freedom and political change to take place. 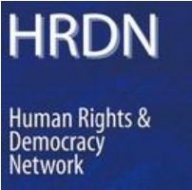 The Human Rights and Democracy Network (HRDN) – made up over 40 European civil society organisations and networks engaged in promoting human rights, including Terre des hommes International Federation – called the European Union to revise its policy in the region in a public statement. Among the recommendations, the HRDN strongly calls on the European Union to recognise and support the crucial role played by youth in the on-going revision of the European Union’s Neighbourhood Policy for the South Mediterranean region. On April 15, the Commissioner Füle, responsible for the EC Enlargement and Neighbourhood Policy, met with a delegation of NGOs, including Terre des Hommes. He took the opportunity to stress that their preoccupations and the points raised in the NGOs Statement were in line with the current revision of the European Neighbourhood Policy. “The changes that are taking place are of historic proportion” stated Mr Füle. “Those changes at the door of the EU will de facto change the EU itself”. In order to support this process, the European Union will launch shortly an extraordinary Civil Society Organisations funding programme (called CSO facility) aimed at the supporting actions by civil society. However, some issues remain to be tackled. “Youth has played a vital role so far”_ indicated Mr Füle _“but the fact that they are still in the streets shows that *they have not yet been taken enough into consideration. An important concern is the possible gap between the aspirations of youths and the street mobilisation on one hand, and the way new authorities will establish the future governance”. Furthermore, the number of young people trying to leave their country shows that the ongoing transition process is *not yet providing adequate responses to their aspirations. On the issue of migration, “The Schengen system is in crisis” recognised the Commissioner. “The European Migration policy needs to be reviewed”.